Lucy, you were the light of my life from the day i got you. It was march 2000 when you were born. We had a wonderful life together. On May-2012, I had to let you go. Rest in peace my sweet Lucy girl, I LOVE YOU and MISS you so much. Lucy you were sweet, funny, loving, and always there for me. you knew when i felt bad and always stayed at my side. No matter what or where I was, you wanted to be there too. you loved everyone and everyone loved you. When you had your stroke, my heart broke. we got thru all that and then Diabetes showed up. you were strong until the very end. It was so hard to let you go but I didn't want you to suffer. About a month after you left us, we found buddy. he can't replace you but he is helping me heal and love again. Buddy is black just like you were... I love you Lucy !!! Chippy will welcome your Lucy and they will play at the Rainbow Bridge together. My Chippy left me last July at 17 years old. He was a real trooper and loyal to the end. Join in and write your own page! It's easy to do. How? 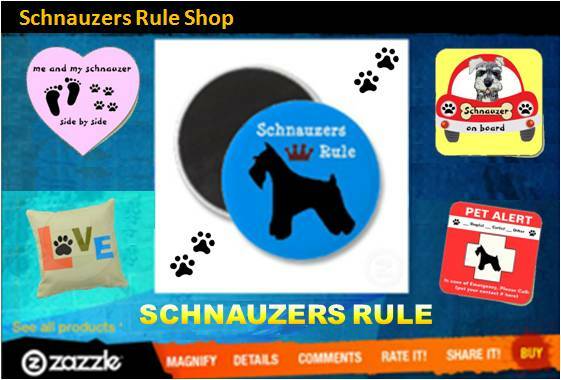 Simply click here to return to A Schnauzer Tribute.